There's mindful eating. Mindful breathing. But mindful renovation? Well yes, of course. The mindfulness revolution absolutely belongs in the home, because home is where we retreat, recharge, and reimagine ourselves. But what is mindful renovation, exactly? 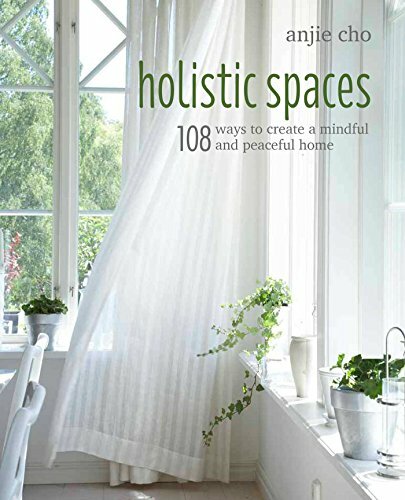 "One of the ways that my teachers describe mindfulness is paying attention to all the details in your life, whether it's making a cup of tea or your environment," says Anjie Cho, an architect and feng shui consultant who practices mindful design and writes about it on her blog, Holistic Spaces. "Mindful renovation is also like that." Mindful renovation is informed by so many things that Cho has embraced in her own life — feng shui, meditation, Buddhism, as well as architecture and design. It's about slowing down and paying attention to how the space around us makes us feel, and using that quiet intelligence to inform design decisions. It's also about making choices — like using high quality, green materials, or paying your craftsmen well — that have a thoughtful impact on the world around you. And it's as much about the process of renovating as it is the colors, textures, placement, and finishes.